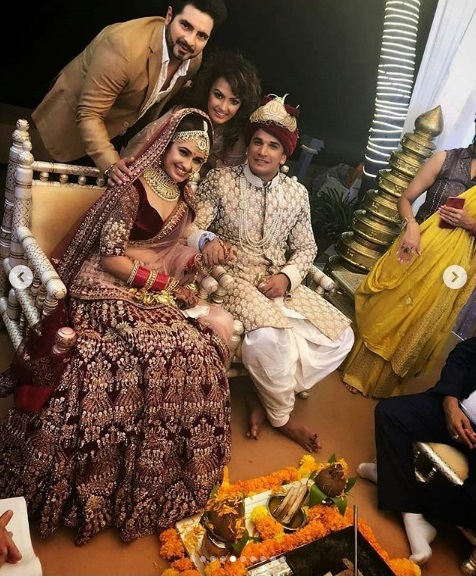 Bigg Boss Couple Yuvika Chaudhary And Prince Narula Tie The Knot! See Pictures Here! 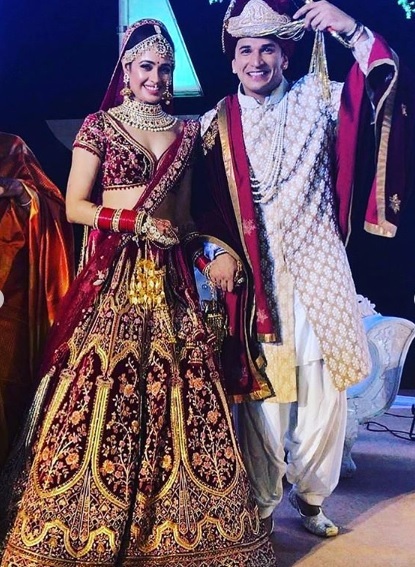 Prince Narula marries Yuvika Chaudhary in Mumbai. 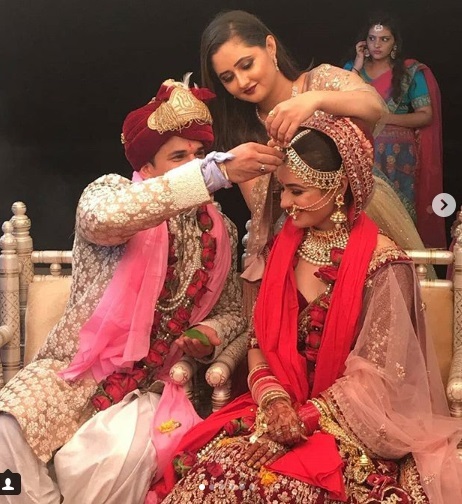 Prince Narula and Yuvika Chaudhary are married couple now. 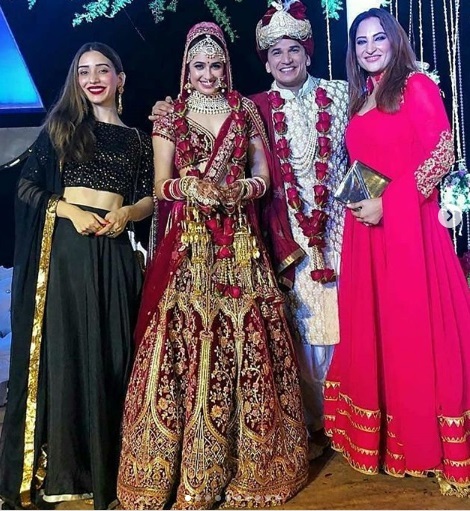 After a grand pre-wedding ceremonies – Mehendi, engagement and sangeet, the couple hitched on Friday in Mumbai in attendance of family, friends and celebrities. 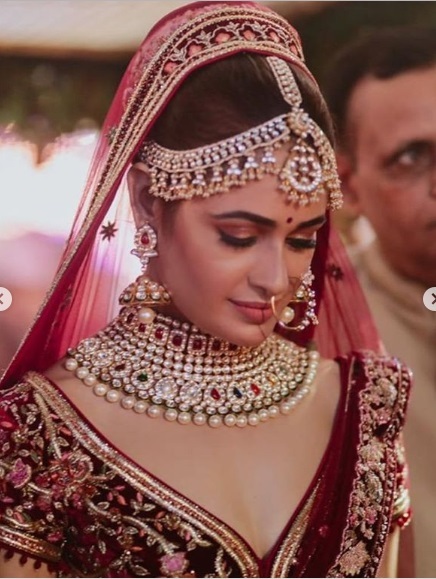 Yuvika Chaudhry resembled a princess in a heavily embellished and embroidered dark red velvet lehenga-choli teamed up with a matching net dupatta. 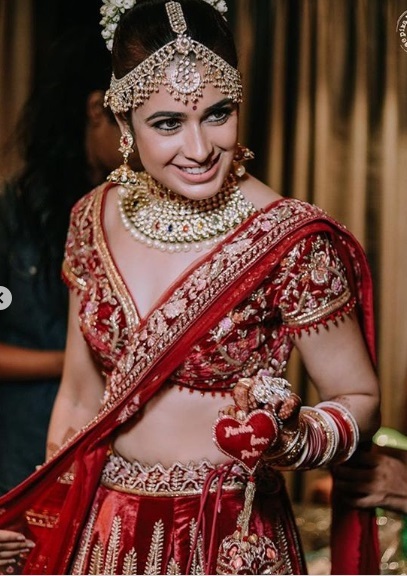 The bride accessorized with heavy jewellery that consisted of a necklace, a pair of earrings, a matha-patti and haath-phools along traditional redbridal chooda teamed up with golden kaleere. 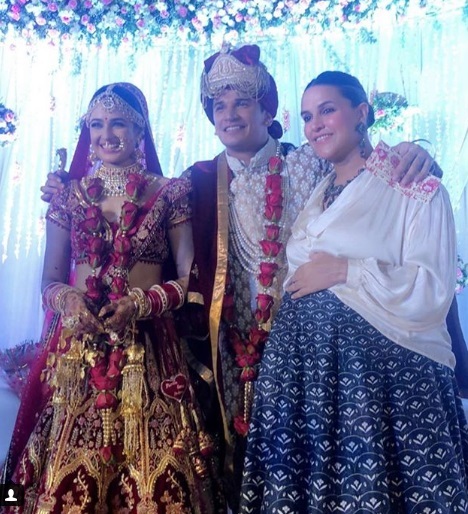 Pics: Yuvika Chaudhary- Prince Narula’s Mehendi, Engagement and Sangeet Ceremony! 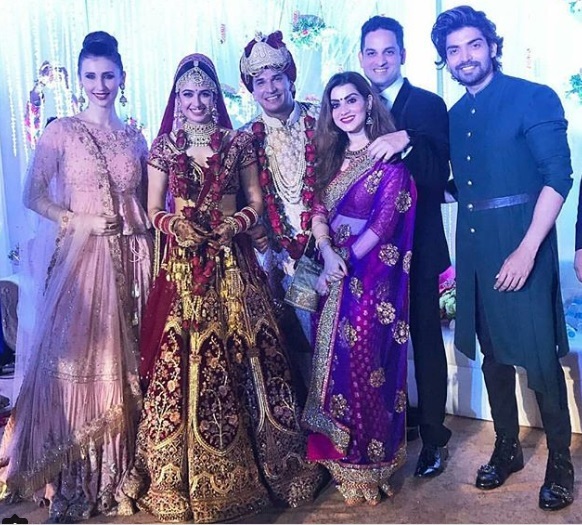 The dapper groom, Prince wore beige-white embroidered sherwani teamed up with a velvet saafa and a dark red embellished shawl matching his bride’s outfit. 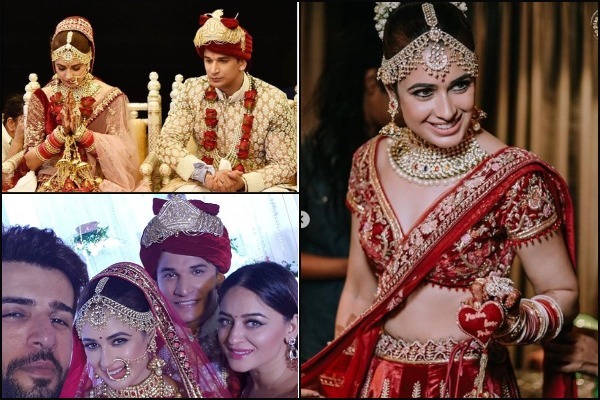 The groom accessorized his ensemble with a golden sehra, strings of pearls and a small golden dagger, as per traditions. Among the first videos to surface was the one of Prince mounting the ghodi to leave for the wedding’s venue— Sun n Sand Hotel in Juhu along with his baarat. However, the groom reached the hotel in a luxury car and then again mounted the ghodi later. Here, take a look at Prince and his baarat’s royal welcome with the beats of Punjabi dhols. Here after we’ve been graced with little clips of their jaimala ceremony and the actual wedding rituals. The couple exchanged the varmalas to soft melodious wedding favourite songs playing in the background. Don’t they look absolutely adorable and in love? Prince and Yuvika also shook a leg along with their guests for special dance performances. 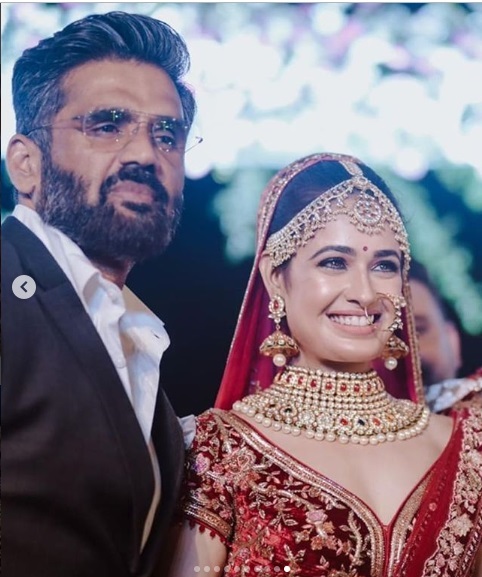 Celebrities like Tabu, Sunil Shetty, Bhagyashree, Divya Agarwal, Sohail Khan, Priyank Sharma attended the wedding. Cricketer Irfan Pathan also enjoyed the festivities with his son and wife. 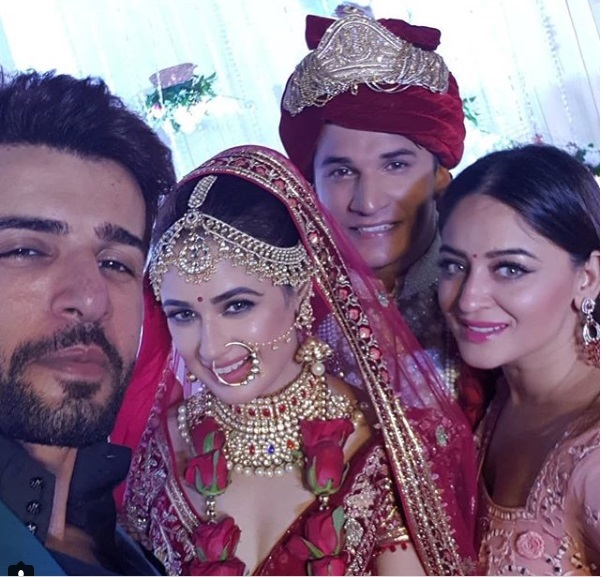 Television host Jay Bhanushali along with his wife Mahi Vij were also at the wedding. 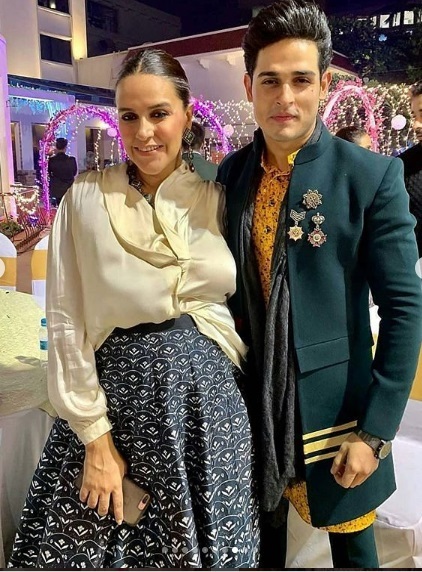 Heavily pregnant Neha Dhupia was accompanied by Rannvijay Singha, his wife, MTV VJs Varun Sood and Nikhil Chinapa. 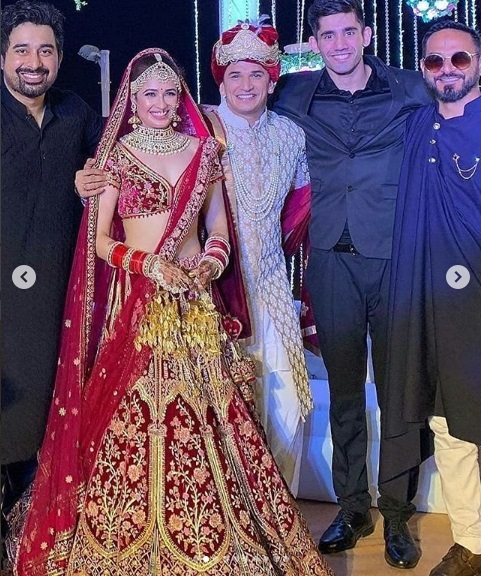 Among other television celebrities who attended the wedding celebrations were Gurmeet Choudhary and Debina Bonerjee, Surbhi Jyoti, Rashmi Desai and Claudia Ciesla. 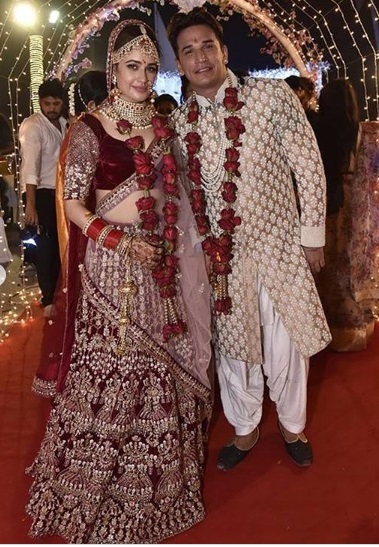 While we are sure that the newly married couple’s wedding hangover must not have left them yet, still we wish Yuvika Chaudhary and Prince Narula a blissful matrimonial life together! Next : BollyRecap In 2 Mins: Aamir Khan Walking Out Of A Movie To Kapil Sharma’s Grand Comeback!